This video presents a brief overview of the capabilities and features of the Lumenera INFINITY ANALYZE scientific software. The session covers topics like application layout, white balance, exposure adjustment, image capture, and live preview window. This video shows Bruker’s new EM27/SUN spectrometer for atmospheric measurements. It features the new CAMTracker controlled solar system for measurements of atmospheric gases by solar absorption spectroscopy. 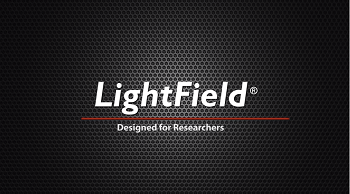 The future of scientific imaging and spectroscopy software is LightField! This video shows a training tutorial that explains about the various camera controls and options offered by the Lumenera LuCam Capture software. 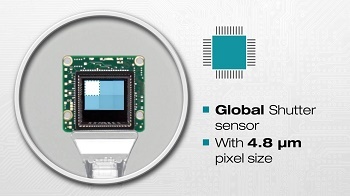 This video shows advanced CMOSIS global-shutter USB3 cameras from Lumenera. 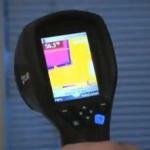 This video shows the FLIR T620 & T640 thermal imaging systems. The FLIR T620 & T640 is the combination of the flexibility and ergonomics of the FLIR T-Series with extreme image quality of the P-Series cameras. 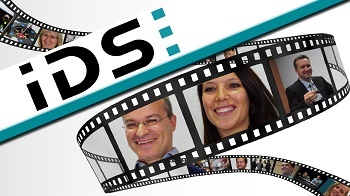 At IDS there are people at work, who are devoted to providing the best user experience in the vision market. 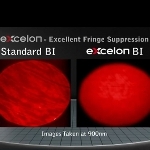 Princeton Instruments eXcelon deep-depletion CCDs and cameras are ideal for low-light, near-infrared (NIR) imaging and spectroscopy, from biological imaging to astronomy. 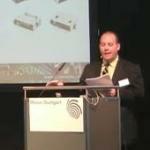 This video shows the newly launched vacuum technology called PentaVac from Raptor Photonics. 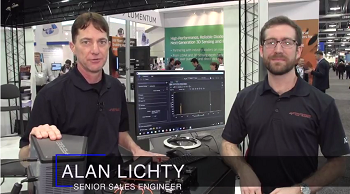 This video shows the capabilities and features of the Lumenera's INFINITY ANALYZE software. 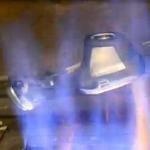 This video shows a gas leakage that can pose a threat to the environment. The FLIR GF304 is an advanced gas imaging camera which is designed to detect refrigerant gases. 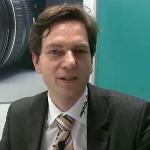 This video shows Rob Van Doorn, technical manager at DCMR Environmental Protection Agency Rijnmond, highlighting the benefits of the FLIR GF-Series optical gas imaging camera. This video shows a training tutorial that provides an overview of the features and capabilities of the Lumenera INFINITY ANALYZE software. 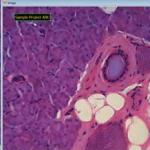 The INFINITY ANALYZE provides a variety of controls and tools for extracting measurement information from captured images. 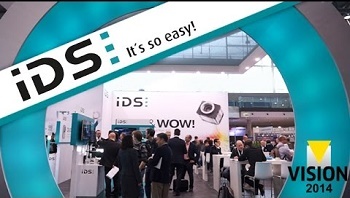 For all visitors and those unable to attend the trade fair, IDS present a video review featuring their very latest camera highlights as well as special features and applications - like ERVIN, their FANUC robot, the line scan mode for area scan cameras, the XC with face detection and many more. 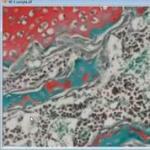 This video presents an overview on the INFINITY ANALYZE’s capabilities and features. The session guides users on how to add annotation objects and micrometer bars on any calibrated images within the Lumenera INFINITY ANALYZE software. 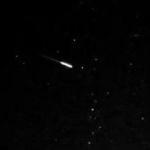 This video shows the sensitivity test performed by Cyril Cavadore from Alcor System with Raptor EMCCD Kite for astronomy with 33ms, 50ms and 100ms exposure times. 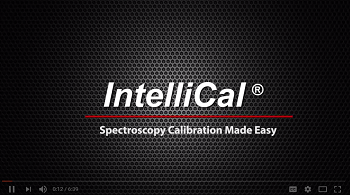 This video provides an overview of calibration and presets in the Lumenera INFINITY ANALYZE software package. This is footage from the OWL 640 VIS-SWIR camera of Raptor Photonics. This movie is taken from a moving vehicle running off a lithium battery. 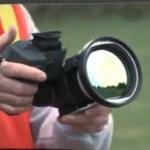 A prototype 16mm VIS-SWIR lens is used. 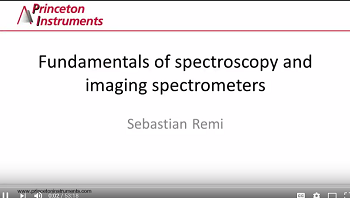 Presented by Sebastian Remi - Applications Scientist - Princeton Instruments. 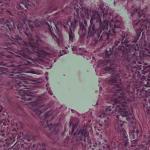 Sona is Andor’s latest high performance sCMOS camera platform, specifically for fluorescence microscopy. This video shows MLS- / MS-series thermal imaging cameras from FLIR. FLIR Systems markets a full range of thermal imaging cameras for the most demanding marine applications. This video shows a gas leakage in a natural gas pipeline that is easily detected by an ergonomically designed FLIR GF-Series infrared thermal imaging gas detection camera. 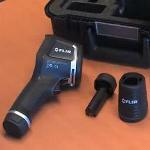 This video shows an FLIR MD series thermal imaging system. It is affordable and fixed-mount thermal night vision system, which can be used to steer around the obstacles and also for finding the people in the water at night. 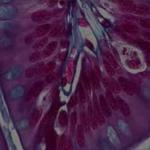 This video demonstrates the functioning of Bruker’s Opterra Multipoint Scanning Confocal Microscope that integrates confocal imaging with photoactivation for high-speed imaging of live cell and small organism preparations. 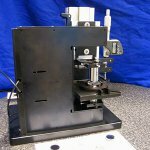 This video shows the operation of Bruker’s TANGO FT-NIR spectrometer designed for chemical analysis. 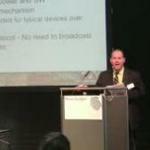 Andre Zillmann from GFM gives us a demonstration of the MikroCAD-lite on the Omniscan booth at MM, MEMS & Nano Live 2012. 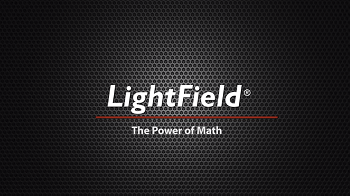 Pittcon 2014 - Why You Need to be There! This video contains information on Bruker Nano Analytics new products, as well as a demonstration of Bruker Optic's LUMOS -- Stand Alone FT-IR Microscope with Full Automation. 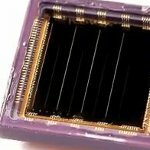 This video shows the Voyager II / Voyager III's wide-angle thermal camera from FLIR. This video shows a representative from Raytrix, a German-based company established to develop advanced technologies for industrial applications. 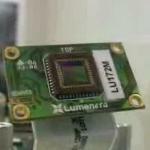 The company is using Lumenera’s 11 megapixel USB 2.0 camera to develop microlens arrays for sensor applications. 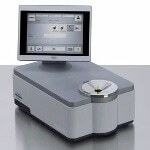 JDSU MicroNIR Spectrometer for handheld and in-process microanalysis. 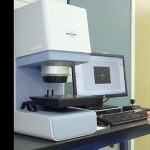 This video provides an installation demo for the Micron Optics os3200 optical sensor. 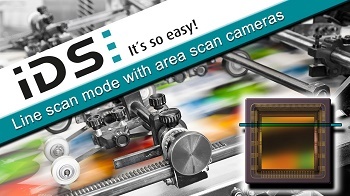 With the IDS Software Suite you can enable a line scan mode for specific GigE and USB 3 uEye models with CMOSIS, e2v or Sony sensors. 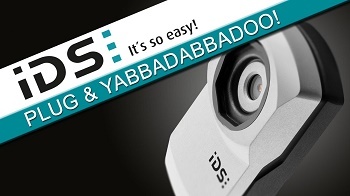 The TS-IR infrared cameras are versatile, scientific infrared cameras which offer exceptional image accuracy and sensitivity. Their rugged IP67 rated enclosure has been designed to address the most demanding environments. 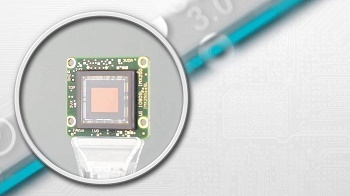 Available in midwave, longwave and very longwave configurations, these high perfomance infrared cameras are ideal for defense & security, industrial and scientific applications. This video shows the options available to configure the Lumenera's INFINITY ANALYZE application layout to suit individual preferences. See how the Hyper-Cam, a thermal infrared hyperspectral imaging sensor can be used in an airborne configuration to detect and identify any substance or target that has a know infrared spectrum. Acquiring hyperspectral images from an airplane allows to map vast areas and obtain important spectral information useful for target detection and identification, geology and mining exploration, environmental monitoring and more. 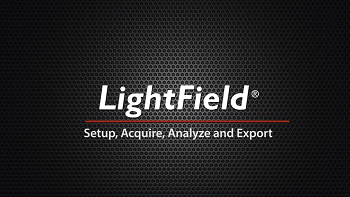 The video describes how LightField software helps you set up your experiment, acquire images and spectra, and review, analyze and export your data. This video shows an instructional video, which is part of the tutorial series for the Lumenera INFINITY ANALYZE microcopy software. 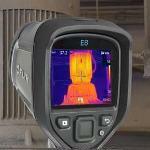 In this video FLIR System launches new FLIR Ex-series thermal imaging camera. FLIR Ex-Series cameras are point-and-shoot thermal imaging cameras that give access to a new dimension. 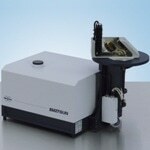 Milk powder transfer from one TANGO FT-NIR Spectrometer to another one from Bruker Optics. 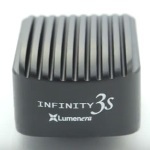 This video shows Lumenera’s INFINITY microscope cameras. 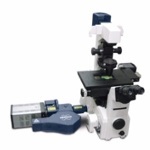 The company offers a wide portfolio of cameras that are compatible with any microscope. This video shows the FLIR A310f and FLIR A310pt thermal imaging cameras. This video shows the PT-602CZ multi-sensor system from FLIR. 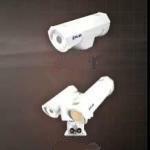 It is equipped with a cooled Mid-Wave InfraRed detector, which offers mid-long range detections in all weather conditions. This video shows FLIR tools for Mac OS, It is powerful IR software solution that helps to present the images to the decision makers more effectively. This video from Lumenera shows Andreas Franz, the CEO of Framos, talking about the company’s operations and strategic office locations across Europe. 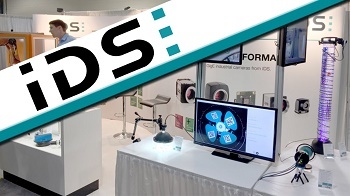 With creative demos, IDS took part at North America's leading showcase of machine vision imaging components and solutions. 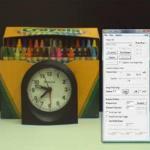 This video presents a brief overview on color balance or white balance function for the Lumenera INFINITY ANALYZE software. 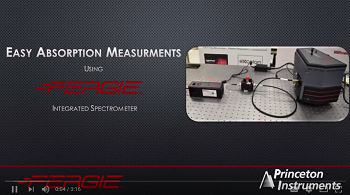 Princeton Instruments patented IntelliCal® is the industry’s only easy-to-use wavelength and intensity calibration system. 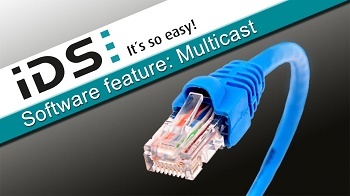 When you enable the multicast mode for a GigE uEye camera, the camera sends image data to a multicast address. So multiple client PCs can parallel receive and display the image data of the camera. 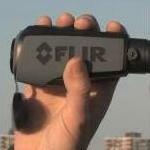 This video shows the criteria to be followed to choose the FLIR camera. 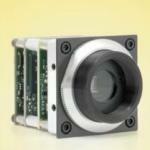 Imec is working on a hyperspectral imaging module that enables fast, compact, and low-cost hyperspectral imaging. 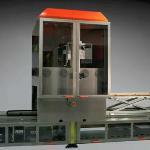 The target applications are machine vision, security, and medical devices. This video shows a training tutorial that allows customers to understand the various options provided for acquiring images from a complete image capture and processing software package called INFINITY ANALYZE from Lumenera. 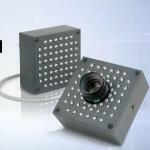 This video shows Lumenera’s custom industrial cameras that provide high-end solutions to meet technical and budgetary requirements. 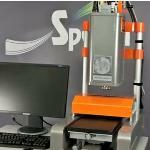 This short video shows just how easy the TANGO FT-NIR spectrometer from Bruker Optics is to use. 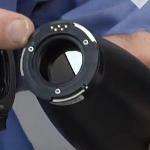 This video gives an introduction on FLIR Ex-Series thermal imaging cameras. The FLIR Ex-Series cameras are extremely easy to understand and operate designed for entry-level users. This video from Xenics shows the member companies of the Belgian Security and Defence Industry presenting their products at MILIPOL 2011. 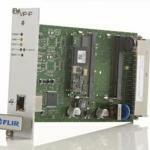 In this video FLIR Systems launches a high technological feature: Multi Spectral Dynamic Imaging (MSX). 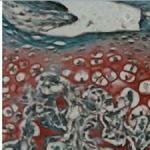 This new feature produces an extremely detail rich image. 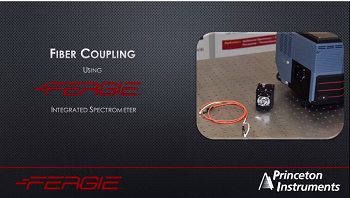 Quickly set up a fluorescence measurement using the FERGIE spectroscopy system. 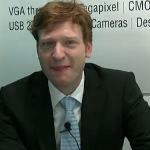 This video shows Darren Bessette, product manager from Lumenera, talking about the pros and cons of USB 3.0. 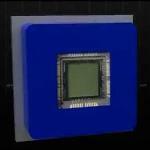 This technology is 10 times faster than USB 2.0 and 5 times faster than GigE. 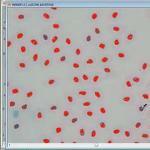 This video shows a training tutorial on the Lumenera's INFINITY ANALYZE microscopy package. 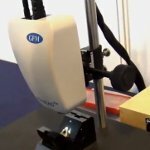 This video shows the recording of the opening of a champagne bottle using Xenics’ Cheetah-640CL, the fastest InGaAs camera. 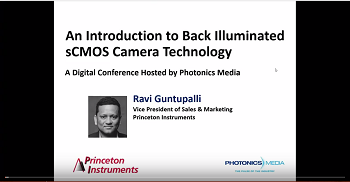 This video shows Lumenera’s advanced and custom-design microscopy cameras that come with a wide range of sensors including CMOS and CCD. This video shows how Lumenera takes pride in going beyond the camera to satisfy ongoing needs of customers. 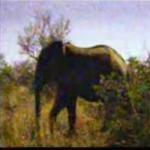 This video shows the comparison of Raptor Photonics EMCCD colour camera vs. an ICCD camera shot under full moon conditions in Africa. This video shows FLIR Ex-Series cameras, which are point-and-shoot thermal imaging cameras that give access to a new dimension in inspection capability. 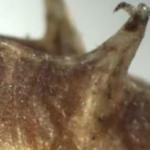 This video was shot at various time intervals using Raptor Hawk EMCCD camera with Fujinon 60x zoom lens. 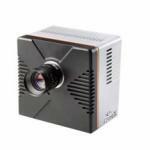 This video shows A325sc Infrared Camera from FLIR. 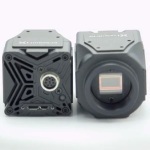 These cameras are designed from the ground up to deliver the accurate thermographic imaging and repeatable temperature measurements needed in the research and science applications. 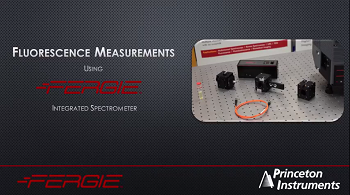 Learn how to setup a simple absorption experiment using the FERGIE spectrometer system with its flexible ecosystem of CUBES, accessories and software. 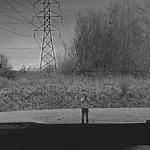 This video shows the thermal fence security system from FLIR. This system is the unique combination of thermal security cameras, video analytical software, and detection sensors that are brought together in scalable and customizable design. 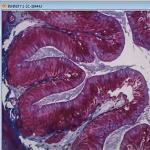 This video demonstrates the SisuROCK imaging system from SpeciM. SisuROCK is a fully automated hyperspectral imaging instrument for easy and high speed scanning of drill cores and other geological samples. This video shows Lumenera's product manager, Darren Bessette, explaining the benefits of customizing OEM imaging solution, and how users can maximize their application with Lumenera's digital usb2 and gigabit Ethernet cameras. This video from Lumenera presents an overview on USB 3.0 and how this innovative technology will impact the imaging industry. 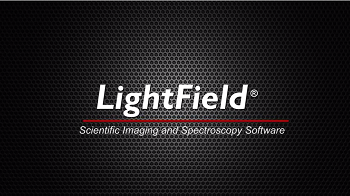 This video presents a brief synopsis on how exposure adjustments can be made in the Lumenera INFINITY ANALYZE imaging software to obtain optimal image quality. The project Bloodhound tries to establish a new world land speed record. STEMMER IMAGING sponsors this project not only with machine vision cameras but also with its worldclass expertise and engineering knowledge. 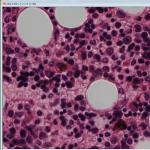 For further information, please visit STEMMING IMAGING's wesbite. This live footage is taken with the Raptor 640 SWIR camera, during overcast and dull conditions using the new SCD InGaAs sensor with a range of 400nm - 1700nm. 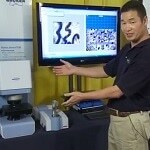 This video shows Fred Morris, Business Development and Product Manager at Bruker Optics, who deals with the company's compact micro analysis and life science product line. 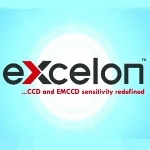 eXcelon Technology from Princeton Instruments delivers CCD and EMCCD with high sensitivity from UV to NIR, low etaloning and low dark current. 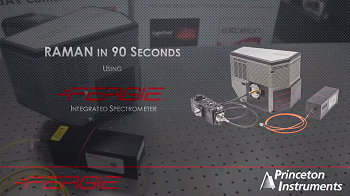 Raman in 90 seconds with FERGIE - Live at Photonics West 2017. This video shows a training tutorial on the Lumenera INFINITY ANALYZE microcopy package. The session explains how to manipulate images using the color composition function. 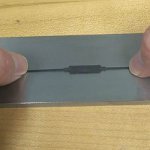 This video demonstrates Armstong Optical's non-contact laser based technique for measuring the centre thickness of optical components. This video shows the tests which are conducted on FLIR K-series to check their susceptibility at extreme conditions. 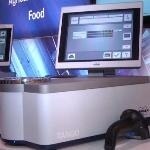 This video shows the SisuCHEMA chemical imaging workstation from SpeciM. 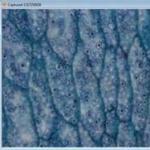 SisuCHEMA chemical imaging system is characterized by speed, simplicity and superior performance. 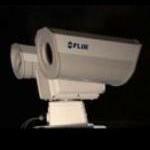 This video shows the LS series thermal imaging cameras from FLIR. 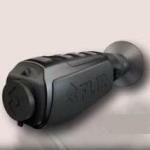 The FLIR LS-Series Thermal Night Vision Monocular is mainly designed for law enforcement and surveillance. 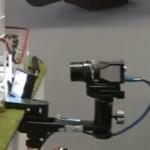 This video was taken using Raptor's new OWL 640, visible InGaAs. 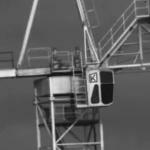 This video shows the iconic cranes at Harland & Wolff shipyards in Belfast. 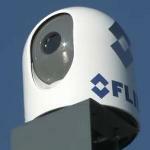 This video shows the intelligent transportation system from FLIR. The thermal imaging cameras of intelligent transportation system are used to monitor and manage traffic streams. 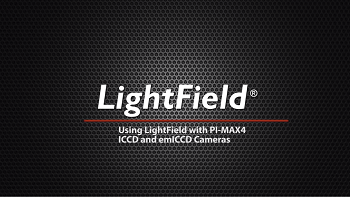 This video shows advanced thermal night vision system FLIR MU-series. 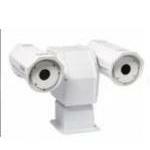 MU-series is an ultra long-range multi-sensor thermal night vision system. 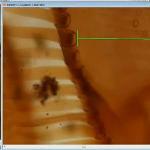 Princeton Instruments' Isoplane imaging spectrograph achieves a sharply focused image by utilizing advanced optical design to bring more photons into the peak, increasing the effective signal-to-noise ratio. This video shows a training tutorial that provides an overview on the capabilities and features of the Lumenera INFINITY ANALYZE software.